October is Blindness Awareness Month. In honor of World Sight Day, Oct. 11, and Blind Americans Equality Day, Oct. 15, we’re spotlighting two EVF athletes who are visually impaired. I got into CrossFit through my best friend and training partner, Shawn Carson, who had been a member well before me. 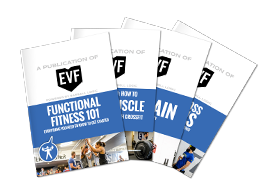 I was training to run a Spartan Race and for months he encouraged me to give EVF a try. I finally agreed to attend one class and that’s all it took, I was hooked! I will remember that work out for the rest of my life. It was what I lovingly refer to as a complete disaster. I was very limited in what I could physically do and had no clue what most of the movement names meant. It was the most physically demanding thing I had done since my days as a ballet dancer, and I knew I wanted more of it. The other thing that stood out was the people. Everyone was and is so welcoming and encouraging. We really are a CrossFit family. I was particularly thrilled to meet two people in that first class: Rebecca Alexander and Coach Matt. I have never been in a fitness setting with someone else who has low vision. We face a lot of the same challenges and it’s nice to have someone who understands and can laugh with you about it. Coach Matt has also been the first coach/trainer I have had who has been able to adapt workouts and the environment to be inclusive. I’ve had coaches in the past (in non-CF settings) who treated my blindness as at best an inconvenience to them and at worst something that disqualified me from access to training. From the first day I have always felt welcome, and Matt Is a big part of that. My original goal was to get in shape to run the Spartan. Now my goals are more long term. 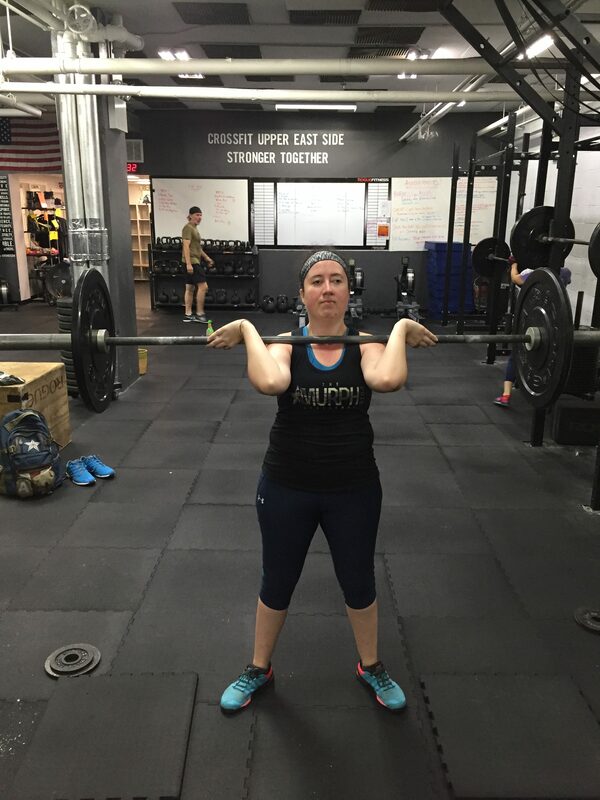 I am working on refining my skill in Olympic lifting and continuing to build strength. I see CrossFit and lifting in general as a way to continue to push myself and I am looking forward to seeing just how far I can take it. I’ve grown significantly! In terms of health, I’ve dropped over 30 pounds and put on a lot more muscle. Mentally it’s made me a lot stronger. It’s also added to my professional work as a hypnotist and coach. Mental toughness training has become a significant part of the work I do with my clients. I love the environment, community, and being challenged every day. Favorite lift: Power clean. Favorite WOD: DT. Lift: Thrusters. WOD: Any WOD with thrusters. I have an image in my head of just how physically strong I want to be. Each day in the box gets me just a little bit closer to that. Stick with it! 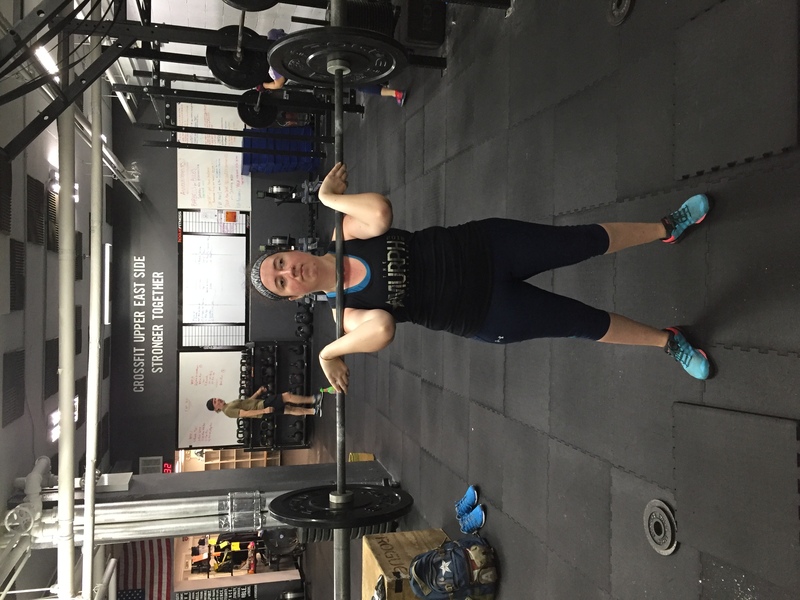 If you’re new to CrossFit it can seem overwhelming at first. If you stay though you’ll discover that you are capable of so much more than you thought possible. My big goal is to take part in the Open in ’19. I’d like the entire EVF team to know how much I appreciate how welcoming and supportive you are. From day 1, I have felt like a part of EVF Family. Blindness is a spectrum and both Rebecca and I have very different visual experiences, and the level to which the EVF staff has been able to accommodate us is just fantastic! To my fellow athletes, thank you for being your awesome selves and creating a fun, supportive, and competitive environment. I know that blindness can create some awkward moments but everyone has been awesome even in those moments! You mean aside from my absolutely hate for burpees? Joking aside, low vision does make things tough. Thanks to one of the eye disorders I have (Nystagmus) the harder I work out, the more my vision degrades during that WOD. It’s always a double-edged sword. 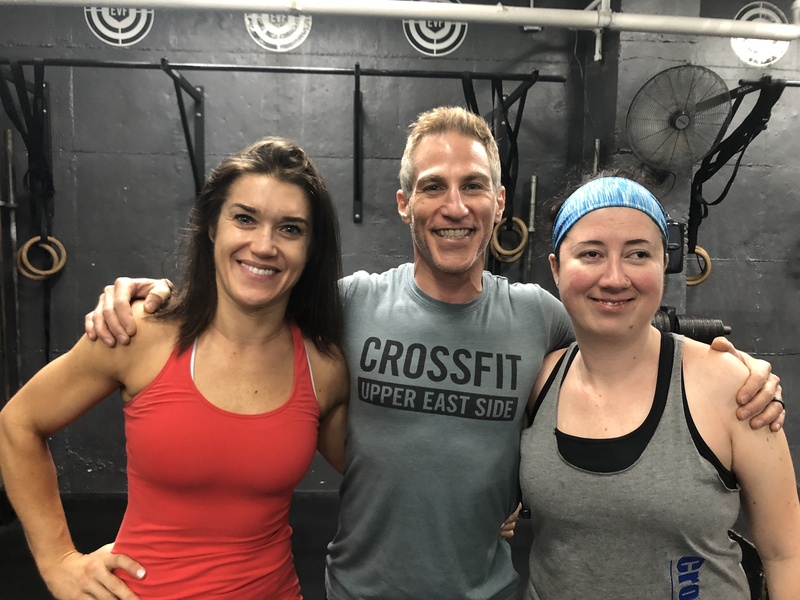 The vast array of swinging kettlebells, camouflaged plates, dumbbells, and j-hooks, and twirling speed ropes always makes for an “edge of your seat” WOD adventure! Little things can make a difference in this respect like keeping your equipment at your spot and not moving equipment or taking the space where you see a bright colored star. We use those to find our spot/equipment when doing a circuit. Also be aware that I don’t have depth perception, so I’m relying on you to not walk too close to me during kettlebell swings or double/single unders. Whether you’re a coach leading the class and not sure how to modify something like wall balls or a fellow athlete (or coach) who is just curious about blindness, feel free to ask. Just don’t be offended if I don’t recognize you — it’s just one of those awkward blind moments!